We've been sent the Starter Set which has an rrp of £49.99 and 3 of the Expansion Sets at £9.99rrp each, The Catapult, Magnetic Cannon and Hammer. All of the GraviTrax system is suitable for age 8+. 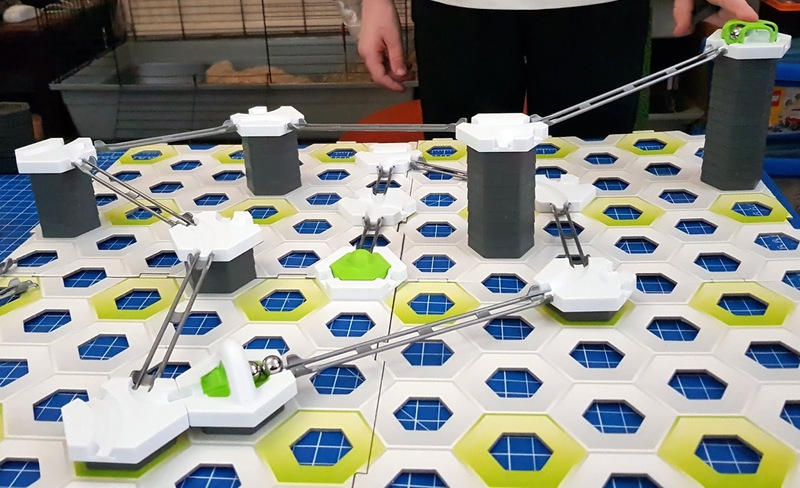 Children younger (5+) will be able to play with it, but are more likely to find construction frustrating. 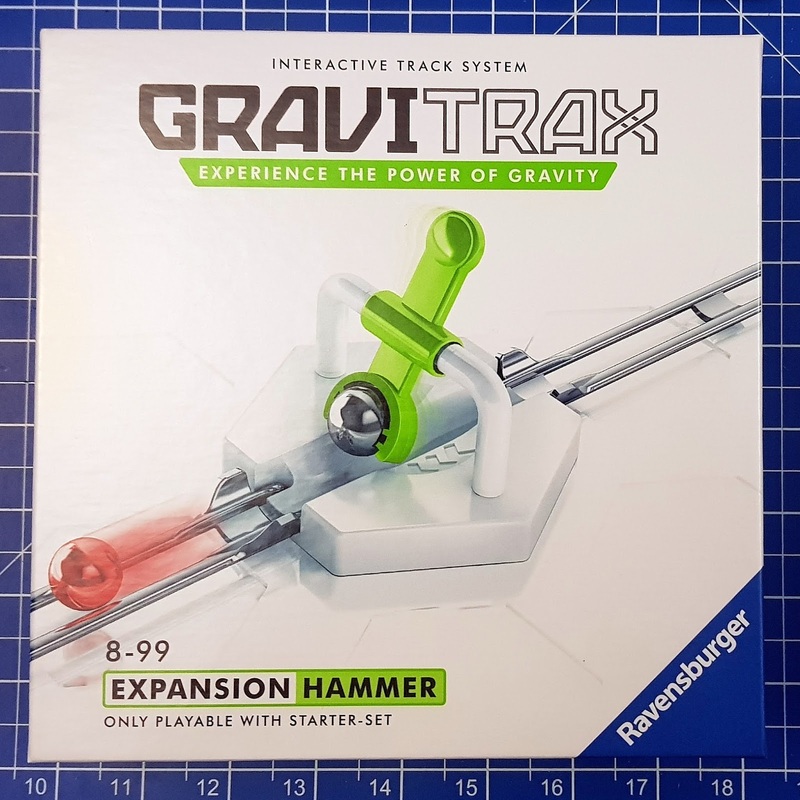 The GraviTrax Starter Set has an impressive selection of pieces, over 100 in all (listed at the base of the post), including lots of special parts and plenty of pieces to make a proper length of track. There are 6 metal 'Gravity Spheres' or balls included, so even if you lose one under the sofa you won't be devastated. I'm really impressed with the sturdy boxes, which are perfect for storage after play. There are no batteries or much pre-assembly, so this is about as Christmas morning-friendly as you can get. Creating tracks is intuitive and super-easy, you can get started instantly. 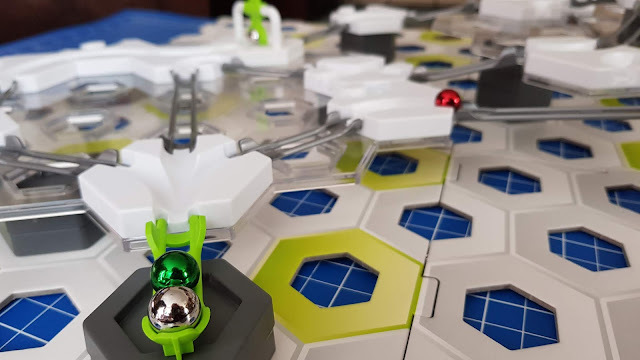 The Gravity Spheres roll along on rails which run between the white bases. The rails just slot into a groove on the base and it takes only a fraction of a second. There are large platforms to steady everything and provide a second or third storey to your build. 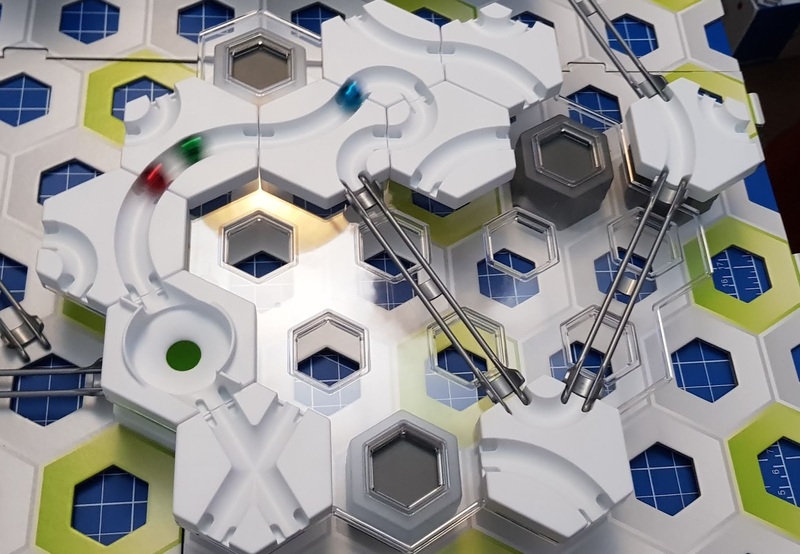 This is the most user-friendly ball track you could imagine. 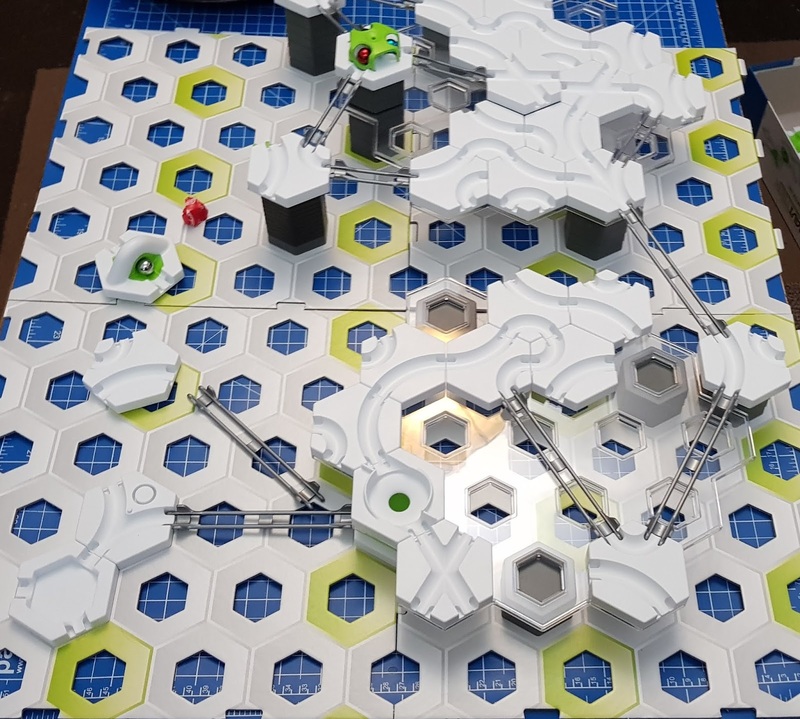 The white bases can be raised on 2 different depths of tile, which stack on top of each other to make almost any height you require. This slots into the hexagonal cardboard baseboard and it stays exactly where you put it. 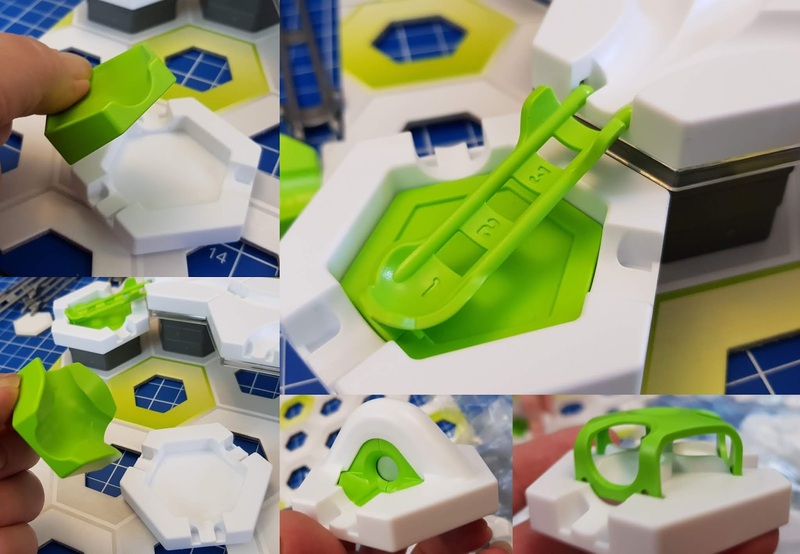 No more fragile creations ruined because someone slammed a door, this is sturdy stuff and virtually frustration-free. The special pieces really add to the excitement. 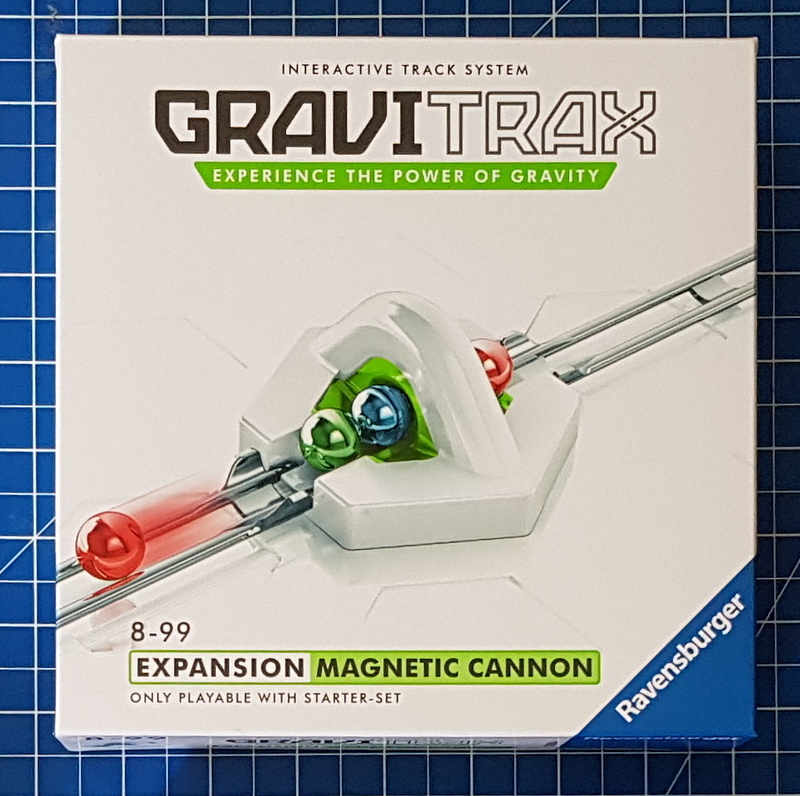 There is a Magnetic Cannon included, and we were also sent an Expansion with one in. It's my favourite piece and really shoots the balls down the track. The Catapult needs precision and it's a lovely feeling when you manage to land the ball on target. It isn't too difficult either and because spacing is fixed by the hexagonal baseboard there's hardly any error to your testing. 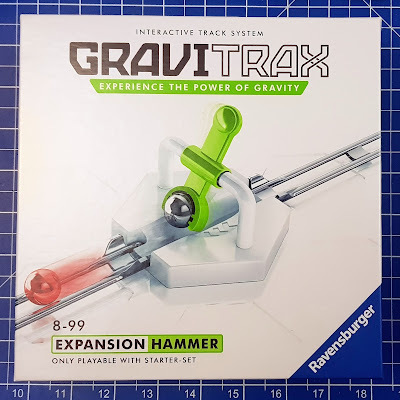 The Hammer is clever and quite brutal, like a medieval torture device it spins around and whacks the ball down the track. Powered entirely by the fact that the ball hit it in the first place, this is one to have your children considering power transfer and physics. 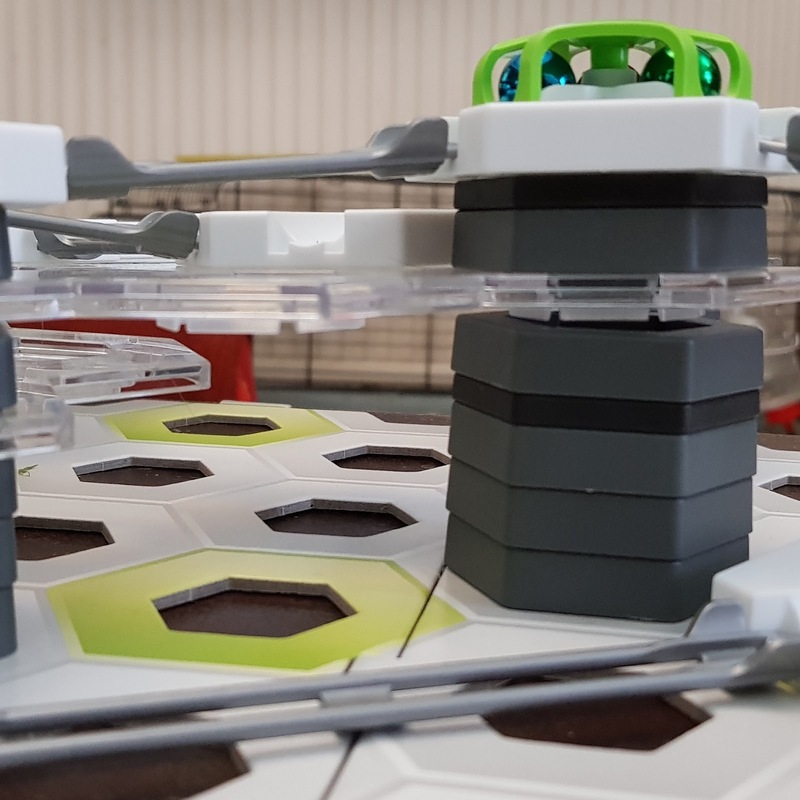 Your GraviTrax build can be extended almost indefinitely and included are base inserts to make 3 ball races, plus a great 'finishing line'. 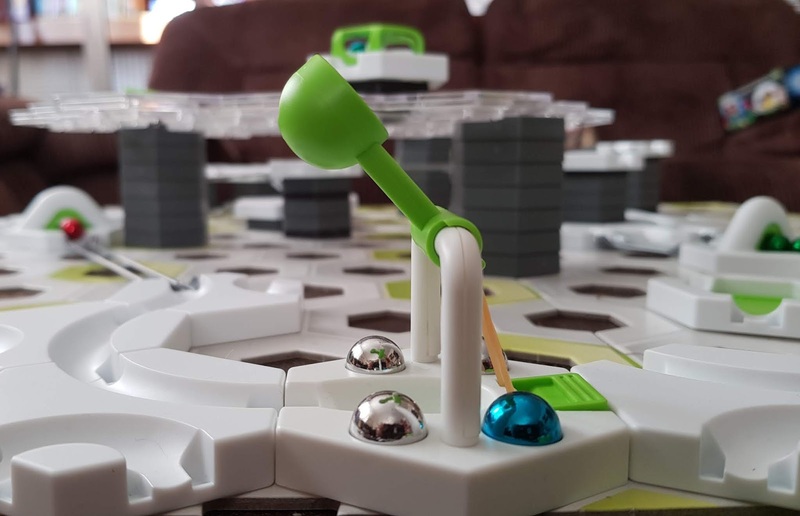 Use the coloured 'Gravity Spheres' to see who wins. 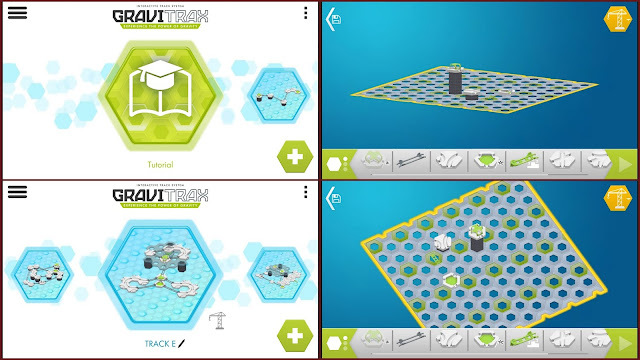 Adjustment of your track is a pleasure and this is a brilliant toy for encouraging all sorts of problem-solving STEM skills. 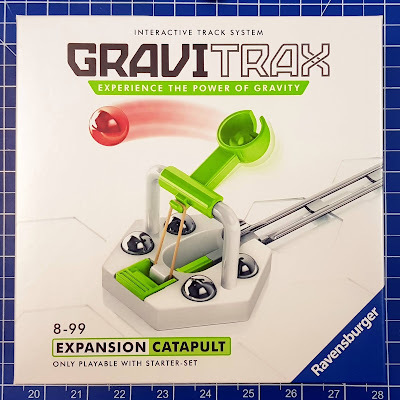 Your child can learn about speed, motion, friction, the effects of gravity and how to almost cheat it. They will be doing maths without realising and expanding their understanding of engineering massively. Included in the booklets are some example track layouts, plus tasks and activities to try, including 'missing track challenges'. There's enough to satisfy and encourage your child to stretch their own learning and ability. GraviTrax is loads of fun! Everyone from our 8 year old to our 20 year old love this set and have played with it. Set up is incredibly quick, the build is very stable and it's irresistible. 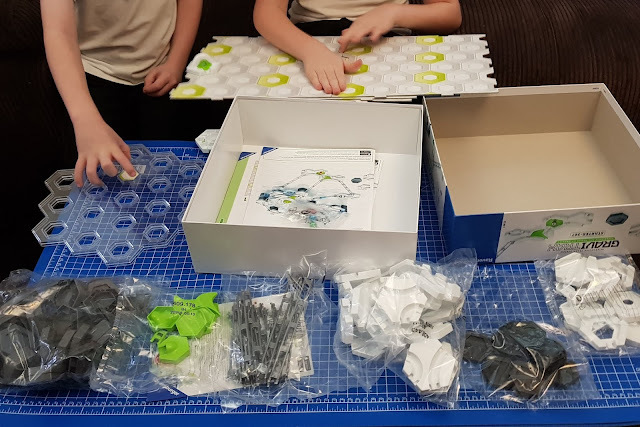 Every time you build you see improvements and adaptations you can make and wanting to improve on your own design is quite addictive! 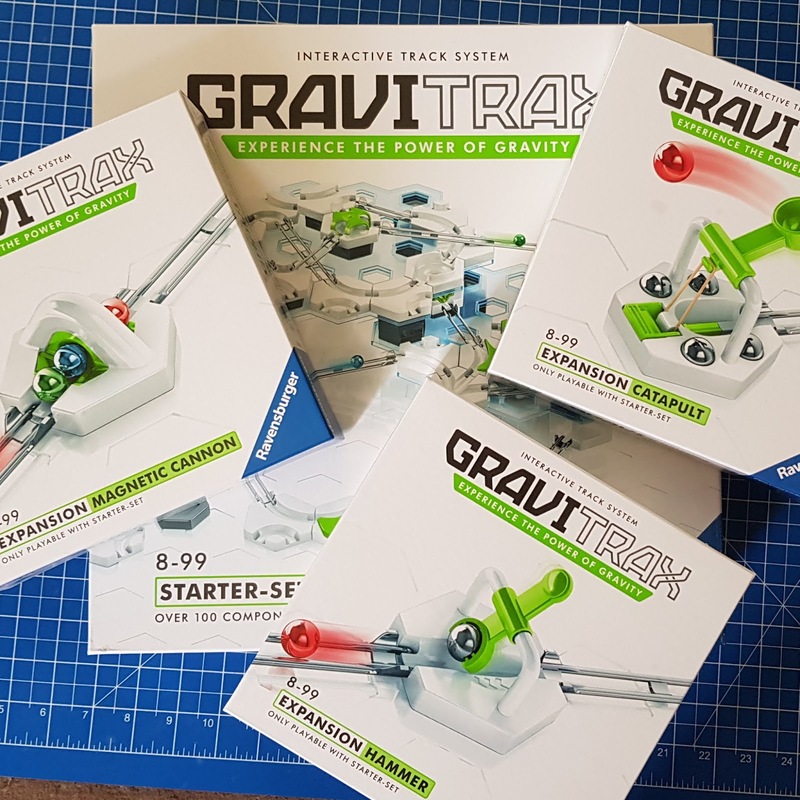 GraviTrax sets are very fairly priced and excellent quality, and you can find out more on the Ravensburger website GraviTrax pages. At the time of typing the Starter Set costs £49.99rrp and Expansion Sets are £9.99 each. Available now from all good toy shops instore and online, including Amazon (*Aff) where the Starter Set is currently reduced to under £40! 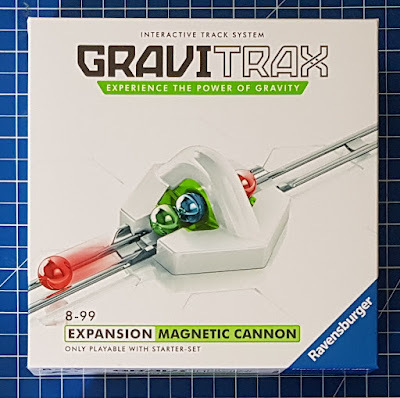 We were sent our GraviTrax Starter Set and Expansion Sets for review. *Amazon links are affiliate, so I earn a few pence as a thank you if you buy through my link, but you don't pay any more. It all helps to keep the website running and the cat fed. I think most of us do. We just don't realise it. They are gorgeous and a nice price for a good toy that teaches all kinds of skills. One of my favourites of the year.